In response to the need for accessible and clean water, Mountains of Hope for Haiti has assisted in the building of a community cistern and several water catchment systems. 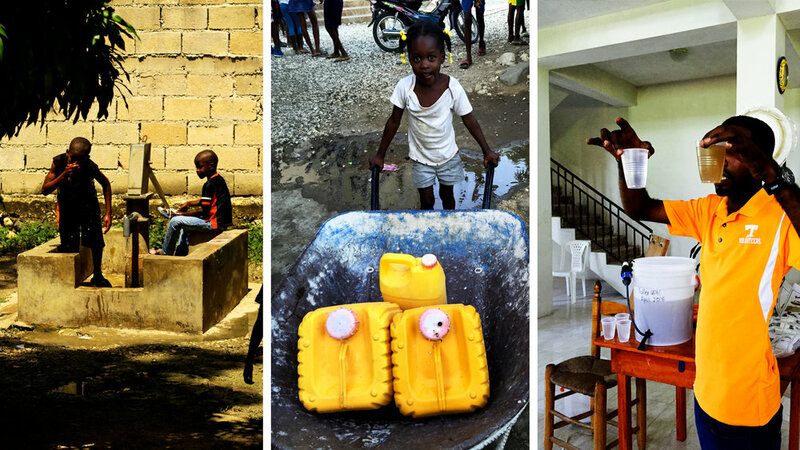 We currently partner with Water to Life to provide Sawyer water filters to the community. Recipients receive a basic orientation in the use and maintenance of the filter from local technicians. Sawyer Filters can provide clean water for up to ten years, are easily transportable, and the initial cost is low at $45 per filter. To date, more than 700 filters have been distributed throughout the greater Furcy community. Clean Water teams do follow up visits to check up on distributed filters as well as provide new filters.